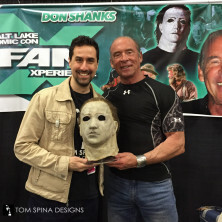 Restoring an original Michael Myers mask for Don Shanks! 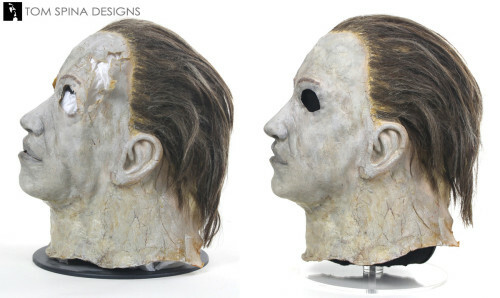 We were honored to have this original Michael Myers mask from Halloween 5, the Revenge of Michael Myers, entrusted to us. 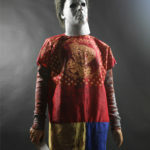 The mask was sent to us by Don Shanks, the actor who played Myers in the movie! He’d kept the movie prop mask since production wrapped and brought it to conventions to show fans. 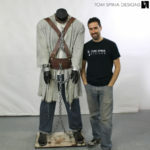 Based on Don’s desires and the specific condition of the original, we discussed options for restoration and arrived at the proper techniques and style of restoration that was right for this particular piece of film history. We aimed to repair and preserve the mask, using careful reinforcement by way of internal patches to help bind the cracking latex and give us a surface to build upon in the larger holes. Once the prop Myers mask was reinforced and more stable, we customized a foam display head to better match the inside of the mask. 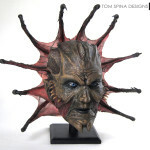 This created a form that would support the prop mask over time and help keep gravity at bay. We then patched any of the larger damaged areas, in particular the large tears around his eyes and temples. Ultimately, we wanted our conservation work to have a very light touch. Patrick Louie was our lead restoration artist and treated this movie prop mask with the utmost care and respect. 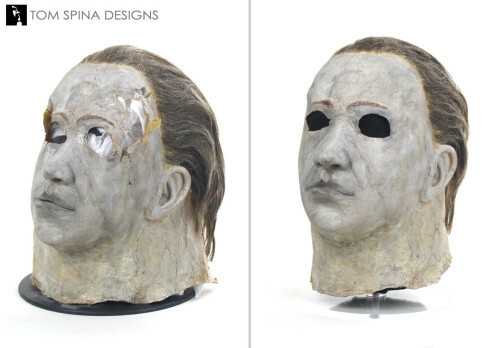 Halloween 5 may not be classic Hollywood history, but an original Michael Myers mask prop is a very rare thing indeed and we wanted to be sure to make the right choices for both Don and the prop itself. Once the major damage was patched, Pat completed the restoration by carefully blending away those small patched areas with localized application of paint. 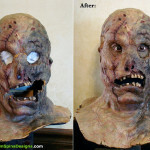 He made the repairs look aged as well, to ensure our work didn’t stand out and the whole mask maintained it’s overall sense of age and as much original, screen used paint as possible. 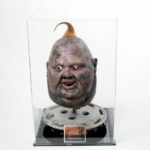 When we shipped the mask back to Don Shanks, the actor called us when he opened the box to express his gratitude. 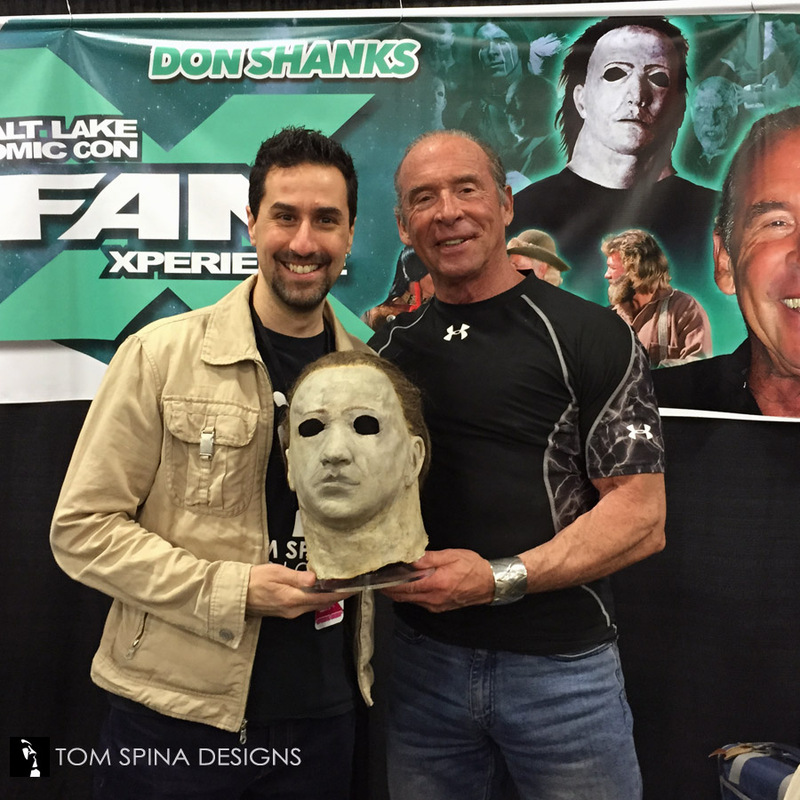 The honor was all ours and we’re thrilled his mask lives on for horror fans to enjoy! 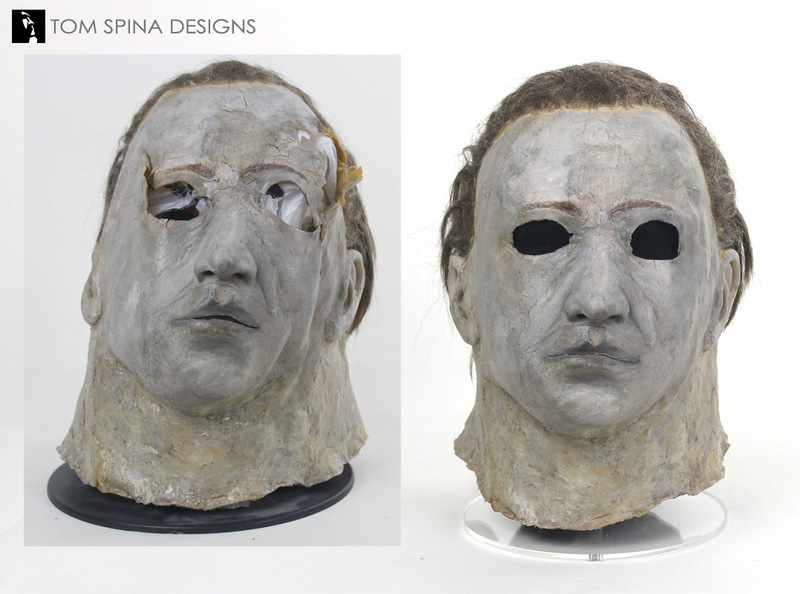 Check out our video of the Michael Myers mask restoration!